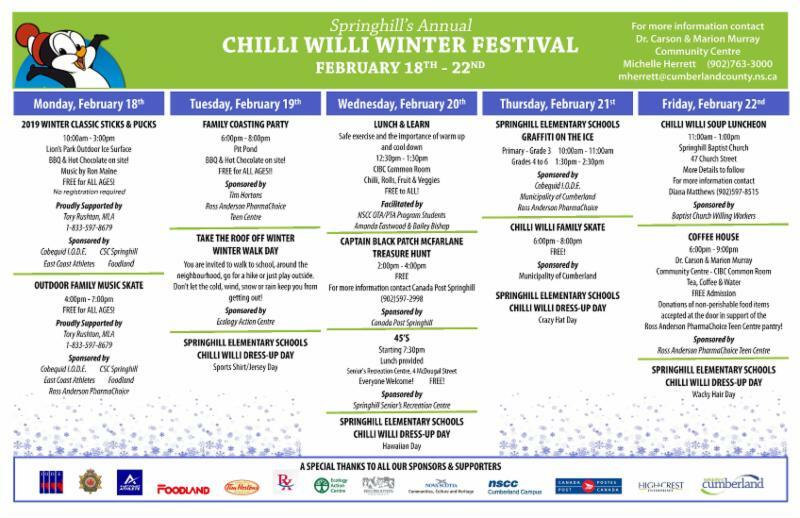 The first Council session in February will be on February 6th and will begin at 6:00pm and will deal with business issues. The second Council meeting in February will take place on February 20th and will begin at 4:30 pm. The second meeting will see discussion on our programs and services and strategic priorities. 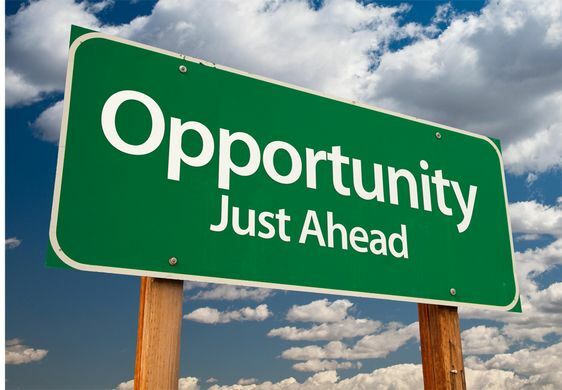 Application deadline for 2019-20 grants is March 31st. Please be advised that there is an updated grant application form available on our website, along with updated guidelines. Old application forms will not be accepted. 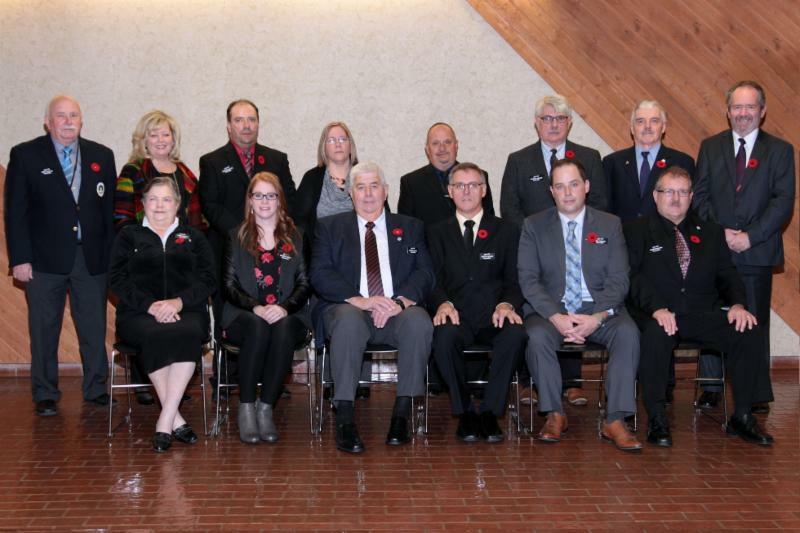 Due to financial constraints that the Municipality of Cumberland experienced this year, and anticipates in the coming year, the “Annual Funding Program” is no longer an option for 2019/20, regardless of whether your organization has applied for it in the past. However, all applicants can still apply for a grant by completing the regular grant application . Each application will be evaluated on an individual basis. To ease the process, we have recently revised the regular application to be clearer and more user-friendly. 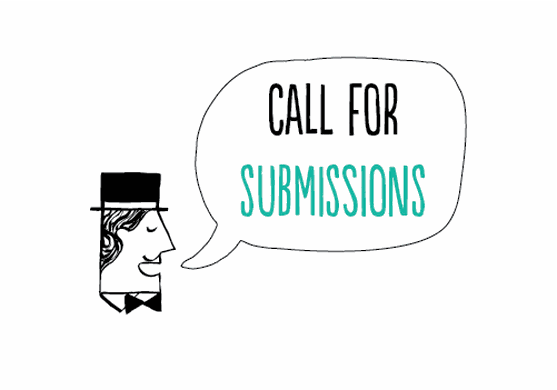 The application form is available on our website and can be submitted by email or in hard copy. 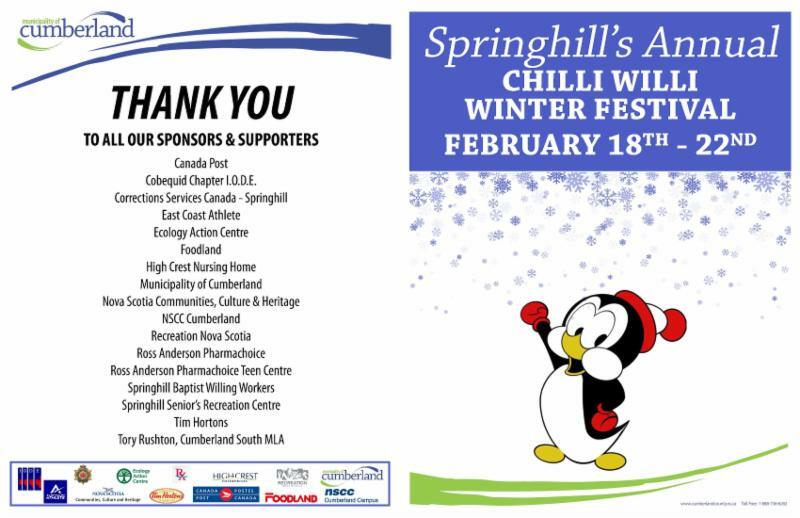 Any questions, please send an email or call Melanie at (902) 667-2470. 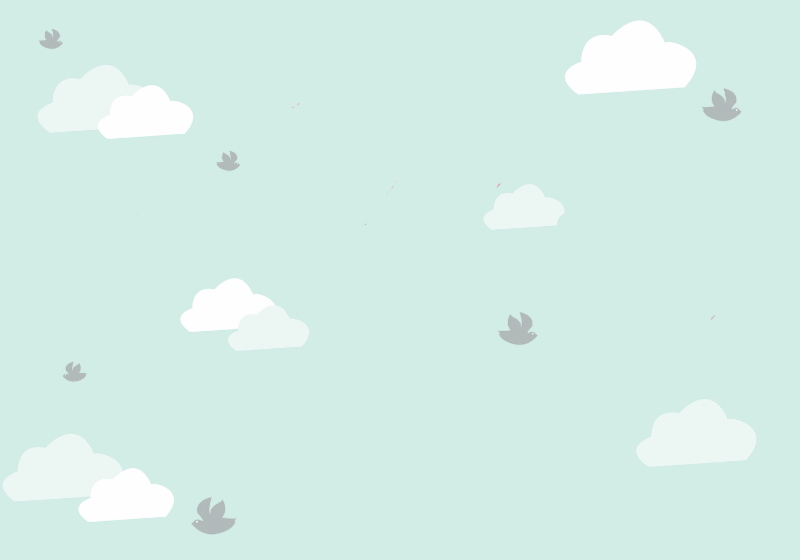 As stated in last month's newsletter, we have title searches back for another batch of accounts and are working on preparing 60 day notices for these accounts. 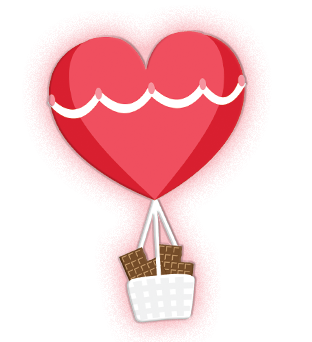 There are approximately 25 new accounts and approximately 15 accounts we will make another attempt to sell. This Tax Sale date is not established at this time, but we are aiming for mid-March 2019. Keep your eye on the website , as it will be updated with the date and list as soon as it is available. We are awaiting title searches to be completed for a number of other accounts. We are moving forward with accounts as quickly as possible. 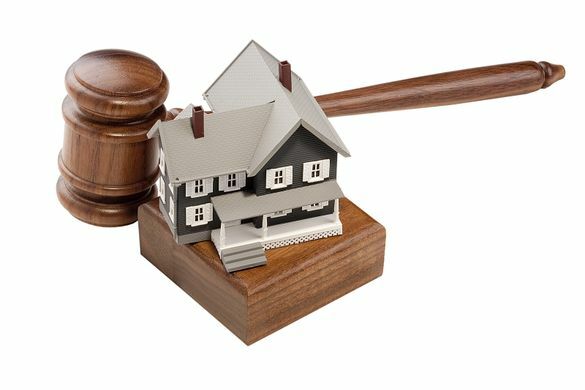 The next tax sale will be on March 26th – again keep your eyes on the website for details. 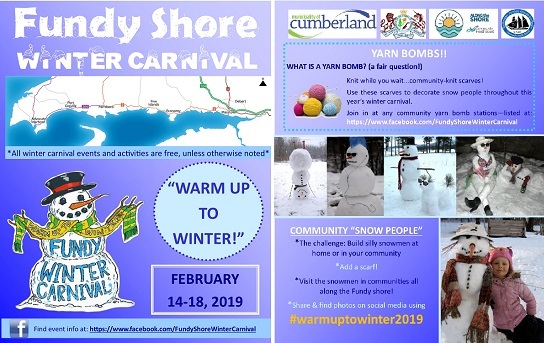 Executive Director, Cumberland Energy Authority – Raymond Hickey has been the Executive Director of the Cumberland Energy Authority since November 2016. 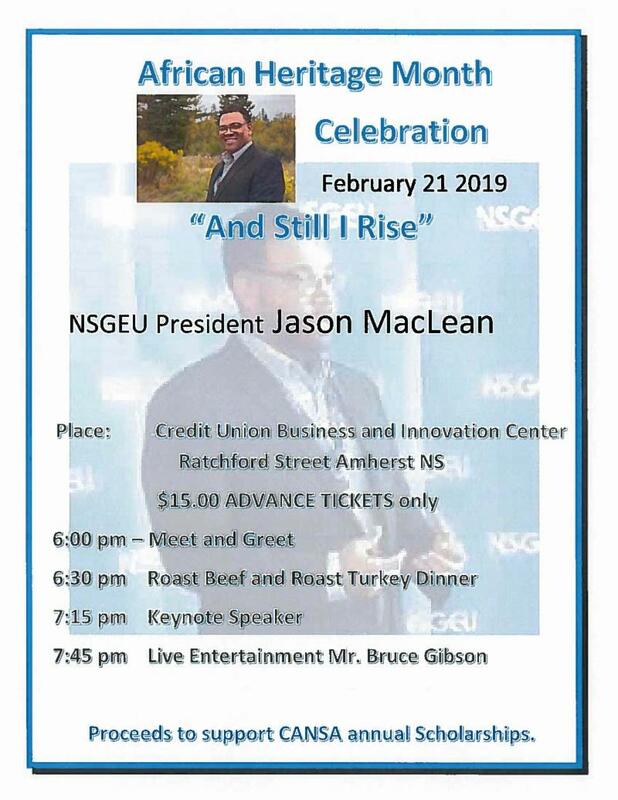 A graduate of Industrial Engineering from Dalhousie University, Raymond previously served as the Chief Administrative Officer for the Town of Parrsboro for seven years. 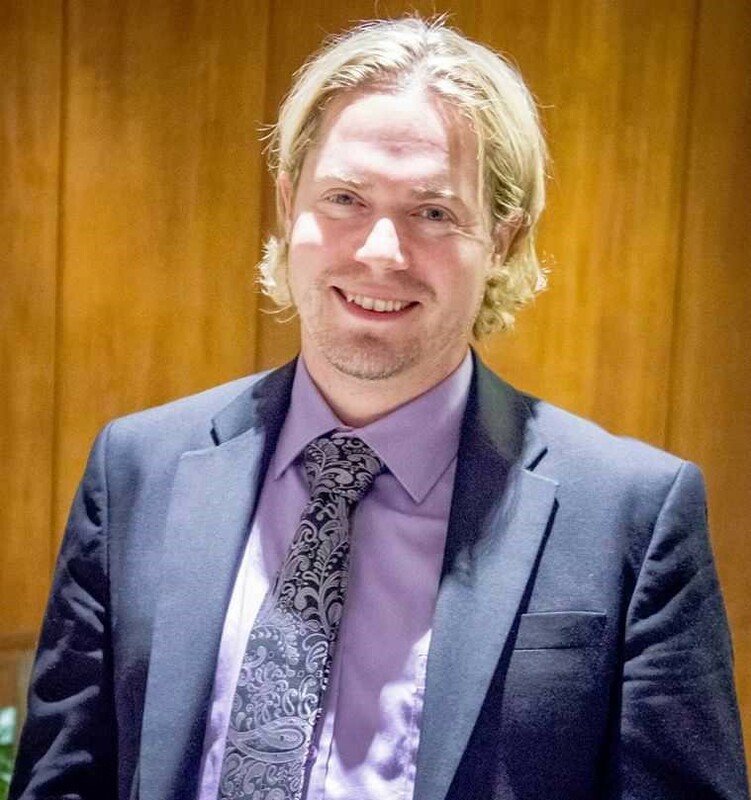 In his role with the CEA, Mr. Hickey works to promote the development of renewable energy throughout Cumberland County. Current priorities include the support of the emerging tidal power industry, exploring the potential of solar power, and development of the Springhill Minewater Geothermal Business Park. The Municipality is currently accepting resumes for the position of Emergency Vehicle Technician Mechanic. The Emergency Vehicle Technician Mechanic is responsible for performing service, maintenance, repair, testing, and preventative maintenance work on the Cumberland Fire Service emergency apparatus and other vehicles. This position will assist other municipal departments with maintenance and repair work on equipment as needed. Work requires high degree of technical knowledge, as well as the ability to exercise independent judgement when determining repair methods. The department’s contribution will not normally exceed 75% of project costs and not exceed a maximum of $50,000. The applicant is responsible for funding 10% (minimum) of the total project cost. In September 2008 the Cumberland Child Advocacy Association and the Cumberland Child and Youth Foundation were formed. Their mission is to strengthen family and community by empowering and supporting our children and youth so they may thrive in a safe and healthy environment. The Heating Assistance Rebate Program (HARP) helps with the cost of home heating for low-income Nova Scotians who pay for their own heat. 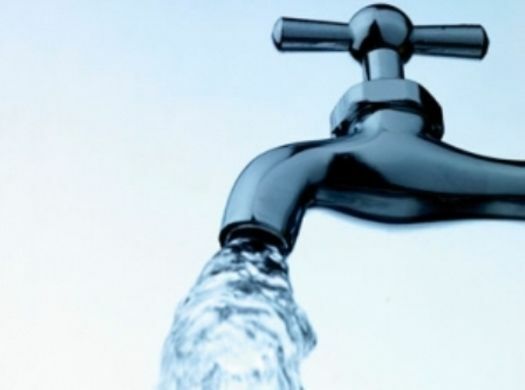 Rebates range from $100 to $200. The deadline is March 31, 2019. 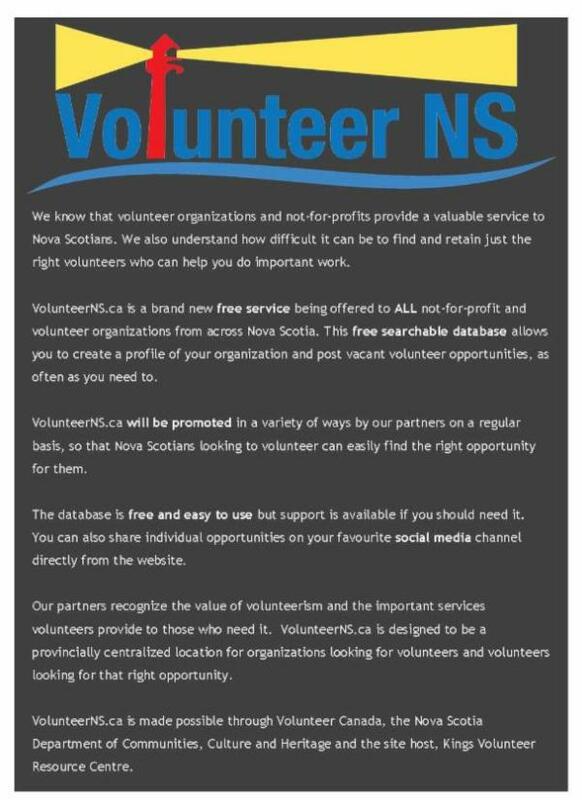 Contact Service Nova Scotia to find out if you qualify. 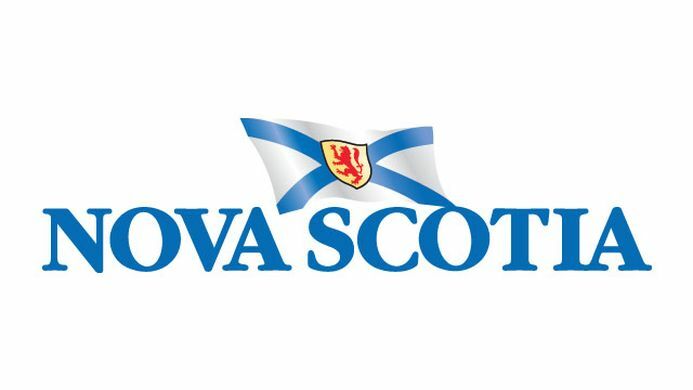 The Mental Health Foundation of Nova Scotia is pleased to be partnering with our friends at St. John Ambulance to offer a new Named Grant for Nova Scotians looking to improve their knowledge of mental health and addictions . 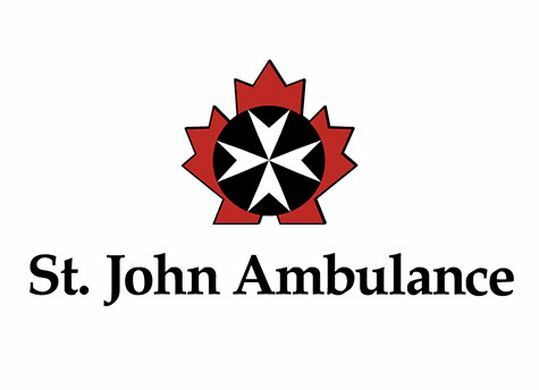 The Mental Health First Aid Community Grant presented by St. John Ambulance is available to individuals and organizations who are working toward changing the way people think. Home Warming offers free energy assessments and home upgrades to income-qualified homeowners in Nova Scotia. If upgrades will help reduce heating and power bills, they will be installed at absolutely no cost. It's important to us that people living on lower incomes benefit from energy efficiency and feel comfortable at home. 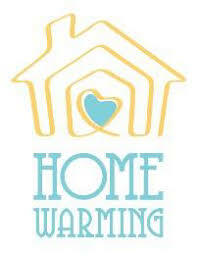 Contact Home Warming to see if you qualify. Department of Health and Wellness’s Independent Activities of Daily Living (IADL) Program is delivered through the Nova Scotia Health Authority. 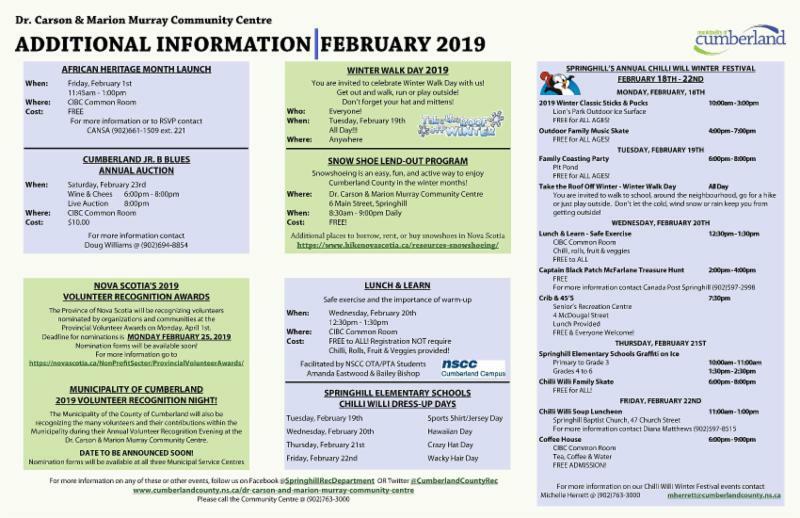 This program provides funding for low-income clients to access community resources related to maintaining their immediate environment, including snow removal. Contact 1-800-225-7225 to be assessed or have a loved one assessed for eligibility under the program. The Mental Health Foundation of Nova Scotia administers a Community Grants Program to support individuals and organizations province-wide to undertake programs or services that will benefit the mental health of individuals throughout Nova Scotia. The Foundation strives to fund programs that are developed by Nova Scotians who are passionate about changing the way people think about mental illness. Deadline: February 22 , 2019 at 4:00pm. 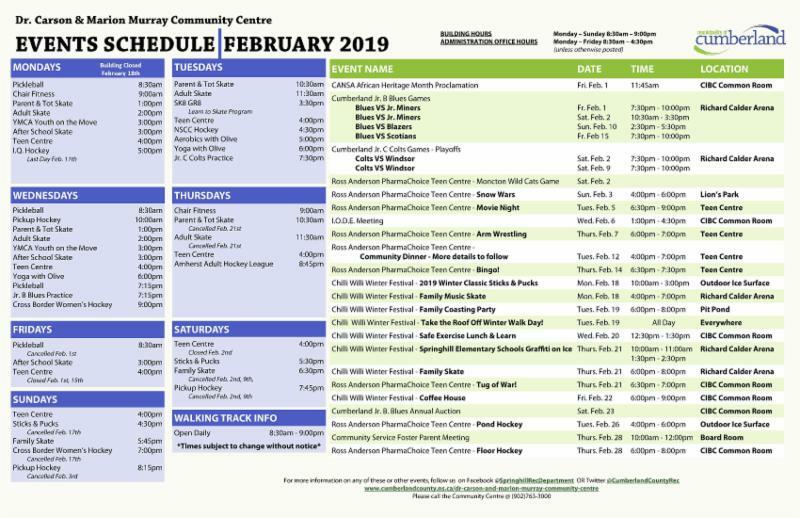 The African Heritage Month "Kick-Off" was hosted by the Municipality of Cumberland on February 1, 2019 at the Dr. Carson and Marion Murray Community Centre. The theme this year is "Our History is Your History". 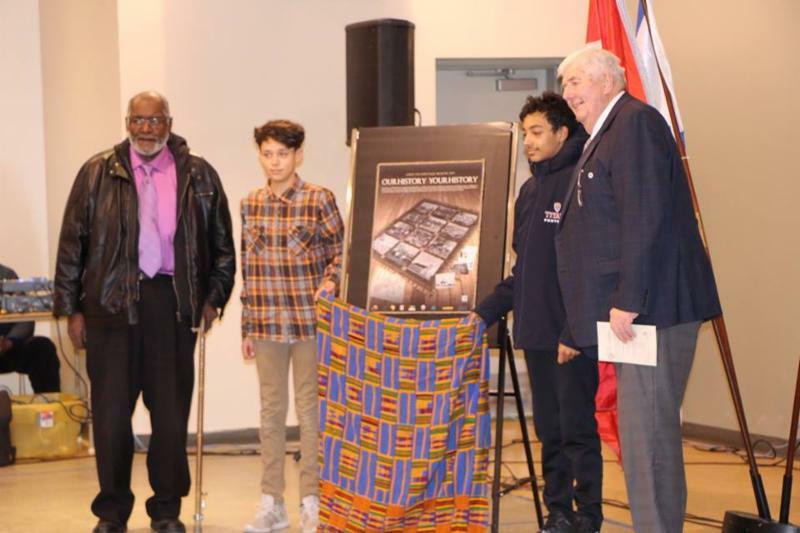 The theme recognizes the unique history of African Nova Scotians and how this story is interwoven throughout the past, present and future of all Nova Scotians. The theme reminds us that when we all acknowledge and understand the truths of our shared history through awareness, cooperation, dialogue and learning, we will be able to facilitate positive change in Nova Scotia. Follow us on Facebook for updated info! 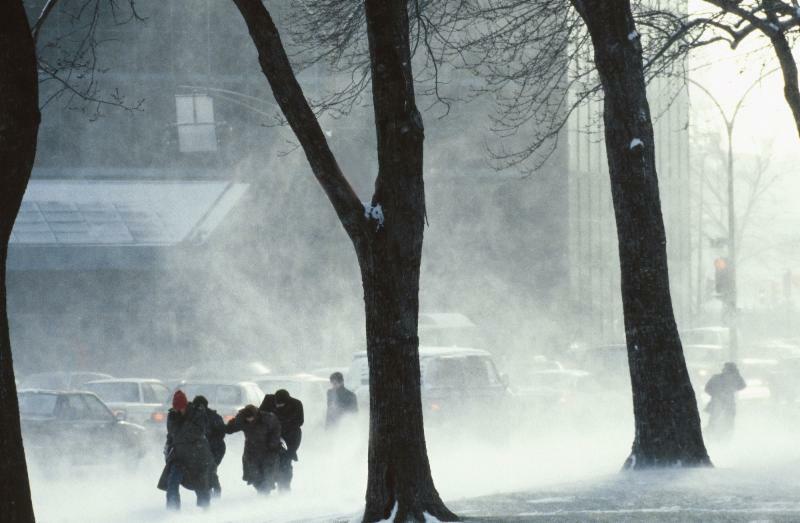 While it is true that many of us spend more time indoors in the winter, there are also those who embrace the outdoors, the snow and cooler temperatures. Are you eagerly awaiting your chance to hit the slopes? Dreaming of making tracks with snowshoes? 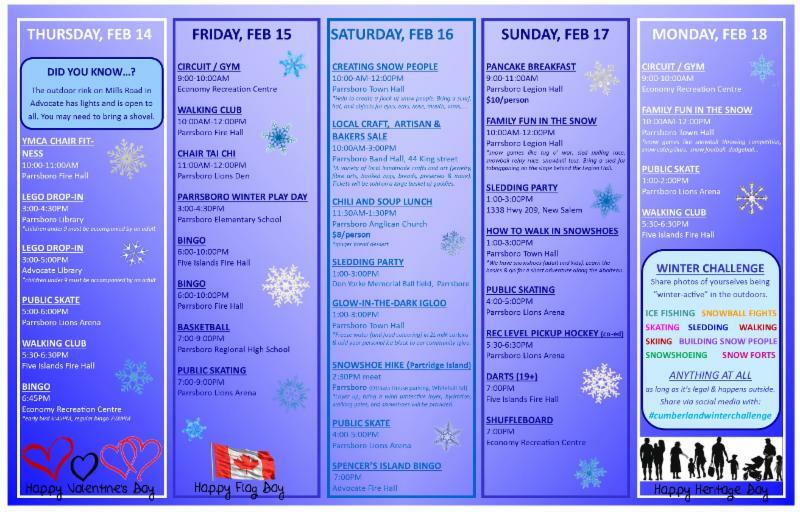 Check out AdventureSmart.ca to help you plan for a safe and enjoyable outing, whatever your passion. AdventureSmart.ca encourages everyone to follow the three T's: Trip planning, training and taking the essentials for any outdoor adventure. Winter is a busy season for fires in Canada. That's why it's important to be mindful of fire prevention and safety. Make sure you have working smoke alarms, don't leave burning candles unattended and if a pot catches fire while cooking, put a lid on it. ﻿ The Cumberland Energy Authority would like to submit an application to the Federal Government’s Low Carbon Challenge and is looking for ideas for a project that will reduce GHG emissions. It must cost at least 1 million and exclude the construction of new buildings and research projects. Projects will be selected primarily on the basis of their ability to reduce greenhouse gas emissions. A project’s potential contribution to clean growth, energy savings and job creation, overall risk and feasibility, and cost-effectiveness will be considered. Successful applicants will be funded 40% for their project idea. If you have any ideas please forward them to Sarah LeBlanc by February 22, 2019 as the deadline for applications is March 8, 2019 . 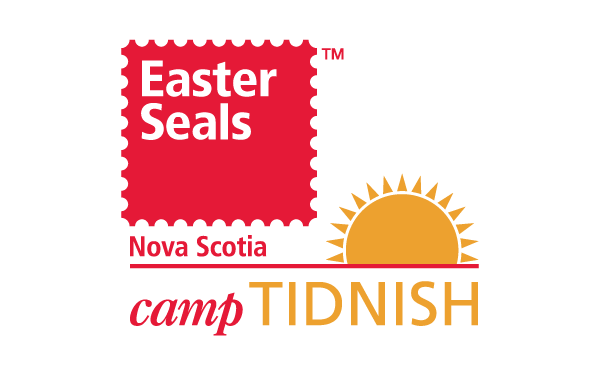 Camp Tidnish is an overnight summer camp for children, youth and adults with disabilities. We are located just outside of Amherst, Nova Scotia and have been in operation for over 80 years! We are currently recruiting for our 2019 season which begins in mid-May and finishes towards the end of August. Each summer we hire approximately 30 individuals to work as camp counsellors, on our nursing team and in our kitchen. Each of these positions has an important role to play in ensuring our campers have a camp experience that is fun, safe and inclusive. Individuals with an enthusiasm for inclusion, an interest in working in the disability field and those willing to learn and grow along the way will thrive at Camp Tidnish. 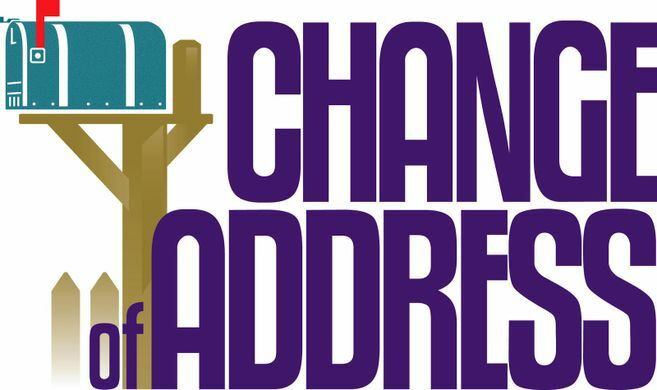 The Province of Nova Scotia has partnered with the Canadian Association for the Advancement of Women in Sport and Physical Activity (CAAWS) to host a Women and Leadership Facilitation Training Event in Halifax Nova Scotia April 5 th -7 th 2019. 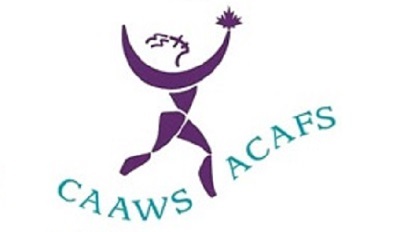 The CAAWS’s Women and Leadership Program consists of a series of six professional development sessions that blend theory with practical applications, and provide an opportunity for women working or volunteering in the sport, recreation or physical activity sector to share experiences, reflect on ideas and apply specific techniques. In Nova Scotia, the workshops are delivered to groups from the sport and recreation sector with a goal of increasing the number of females in leadership positions. The purpose of this training event is to expand the facilitation team for the six core workshops in Nova Scotia and Atlantic Canada. The training will take place in Halifax, Nova Scotia on April 5 th -7 th . If you are an experienced professional in the sport and recreation sector and you are interested in attending this training and becoming part of the CAAWS delivery team, please complete the CAAWS on-line application at the link below. The deadline for application is February 15 th 2019 . Those selected to attend the training in Nova Scotia will be financially compensated to attend, including all travel expenses. Please circulate this e-mail to contacts in your community who you feel may be interested in this opportunity. 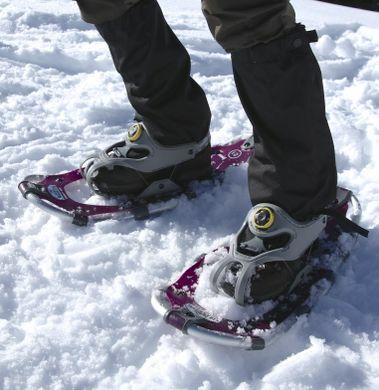 Did you know that there are quite a few pairs of snowshoes throughout the county that are available to residents for loan...FOR FREE? The Quality Daily Physical Education (QDPE) Award Program recognizes schools that offer and encourage excellence in school physical education programming. Examine and reflect on the qualities and characteristics of your physical education program, program successes, and possible areas for improvement. 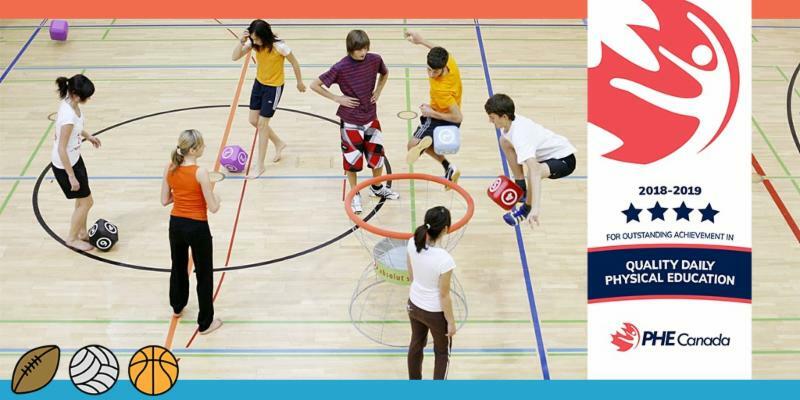 Free to all Canadian schools, each year hundreds of schools from across Canada are recognized for their tremendous efforts and commitment to providing quality physical education programming to their students. Check out the 2017-2018 QDPE schools . Make sure you and your school Get Recognized! 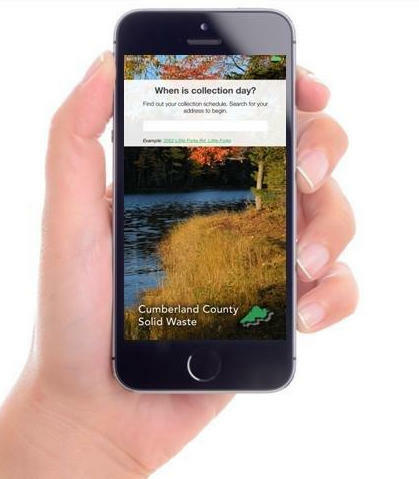 For more information about Solid Waste Collection Schedules and Routes in your community, please visit CJSMA at Cumberland Joint Services Management Authority .